This week I am loving chain detailing. So rocker chic! 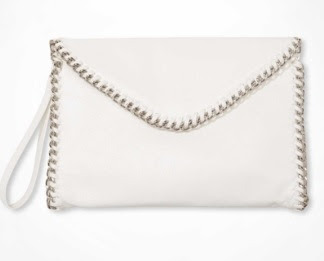 Stella McCartney consistently makes swoon worthy bags and the 'Falabella Cracle' is no exception. The spearmint shade is gorgeous! 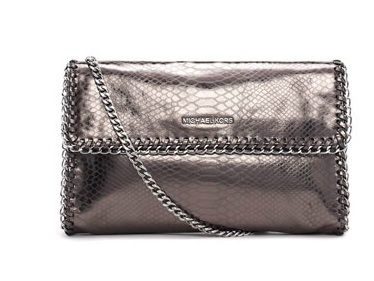 The MICHAEL Michael Kors Oversize Chelsea Python-Embossed Clutch is such a great neutral in gunmetal! 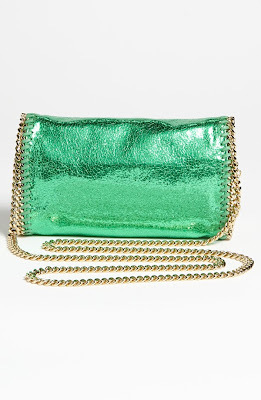 And for the girl who does not want to throw down their mortgage payment for the Stella McCartney, or their car payment for Michael, Express has their Chain Wrapped Envelope Clutch for a steal! I must say that I saw this one in the store and the quality and look were great!